You’ve mastered GRE vocabulary, done the flashcards, unlocked all the achievements on the apps, irritated your friends, won the Scripps spelling bee and are still wondering what mountains are left to climb to master GRE Verbal. We have some good news and some bad news. 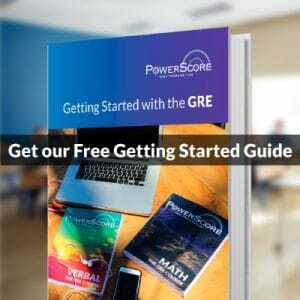 The good news is that your killer vocabulary will be a priceless asset on GRE Verbal, turning challenging Text Completion and Sentence Equivalence problems into manageable tasks, problems that you can solve confidently using the proper approach. The bad news is that sometimes obscure vocab is not what increases the degree of difficulty on GRE Verbal problems. Sometimes you may know all the vocabulary but still struggle to choose the credited responses either on multi-blank Text Completion or difficult Sentence Equivalence. In this post, we will examine an example of difficult multi-blank Text Completion and how to surmount challenges that have more to do with syntax and semantics than with vocabulary per se. We would like to remind you as well that tonight we are holding a free GRE 101 Seminar online. You may register here to get your GRE preparation off to a great start. We hope you will join us. What is the first thing one might notice about this question? Therefore, if you’re still on your first pass through the verbal section, consider returning to this problem later. In addition to dealing with difficult vocabulary, you will likely need to parse the relationships among the statements in order to determine with certainty the meanings of the blanks. However, do not feel overwhelmed or frustrated. You have the skills necessary to answer the question correctly, but just as in GRE Quant, you need to proceed step by step. If you try to tackle too much at once, you will find yourself stuck in a morass of conflicting and confusing statements. Instead, use some of the same skills you use on Reading Comprehension. Pay attention to shifts in viewpoint. Go step by step through the statements, establishing an understanding of their meanings and relationships with each other. After completing your work through the passage, try to assess the overall meaning of the short passage in its entirety before picking a blank to solve for. Remember, the most important step on all Verbal problems is the prephrasing step: use your solid analysis to predict what you wish for the credited response to say or do. Since Text Completion problems hinge on the necessary meanings of the blanks within the context of the passage, it is essential that you assess the meaning of the overall passage to know with certainty what the blanks must mean. Good. Now we know the setting. This has a blank in it, so let’s leave it aside. Go to the last part. Pause. What are “the situation itself and matters of common knowledge”? This is the “evidence”! This part has a blank in it, so we will leave it aside as well. Now that we have the entire meaning, we can start attacking the blanks. This evidence is pointing so clearly to the truth as to leave no room for a [what kind of] determination? Well, if the evidence can’t be disputed, it must be leaving no room for an opposite determination. Use “opposite” as your prephrase. B) contrary — good match! C) benighted — nothing to do with it! What effect can sworn testimony have on evidence that can’t be disputed? Well, none! So we could use “unaffected” as a prephrase. Bingo, perfect match for answer E! What is the antecedent for “it” here? The indisputable evidence! So again, do we care about evidence to the contrary? No, we do not. Therefore, we could use “not caring about” as our prephrase. G) notwithstanding — this means “in spite of,” more or less “not caring about,” good match. H) in consideration of — if we’re considering something, we clearly care about it. Opposite. I) granted — same as “in consideration of.” Opposite answer. Thus, we can choose confidently, B, E, and G.
Seems Like a Lot of Work! Yes, hard Verbal problems are hard, and it’s not always about the vocabulary! Be prepared to save some time on your second pass to tackle these semantic puzzles, but remain confident! Approach these problems step-by-step and focus on establishing a good understanding of the overall meaning. Once you grasp the meaning, you have the tool necessary to knock out the blanks, no matter how convoluted or difficult the text is. 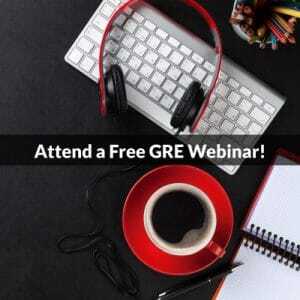 We encourage you to join us on our free GRE Forums to get expert answers to all your GRE questions and to join us this evening for our free GRE 101 Webinar. We look forward to helping you achieve the score you deserve on the GRE.